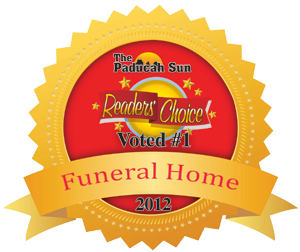 We are honored to be chosen the Readers Choice 2012 - 2016 Best Funeral Home. Our goal is always to help each family through the difficult times in their lives with care and compassion. To be chosen by families from around Western Kentucky is the highest honor we could possibly receive. We sincerely thank you for the trust you have placed in us.